Village Green in Bradenton is a traditional neighborhood that is very attractive to families, single professionals and retirees. It is located just south of Manatee Avenue as it heads west towards Holmes Beach and Anna Maria Island. Development of Village Green started in the 1970s. Back then, the neighborhood planners set aside portions of land as nature preserves, which have aged into mature forests filled with tall pines, jacarandas, oaks, and palm trees; as a result, the various residential sections enjoy lots of shade and privacy, and each has its own neighborhood association and swimming pool. The older single-family residences at Village Green are Florida ranch-style homes built on large lots. These properties tend to be affordable: a four-bedroom and two-bathroom home with 10,019 square feet of interior can be found for less than $300K. Even the golf villas are spacious: a two-bedroom and two-bathroom villa with a 1,657 square feet interior can be found for less than $170K. Large portions of Village Green have been remodeled in recent years, and the old golf course has been parceled for new residential developments. In 2015, an international home builder started development of Mirabella, a new section that intends to attract active seniors interest in amenities such as a dog park, swimming pool with clubhouse, and a fitness center. Pricing at Mirabella promises to be competitive since the new floor plans are very attractive and the villas are being developed with energy efficiency in mind. 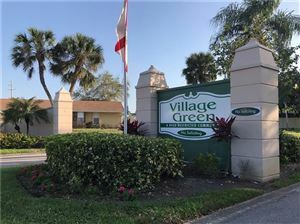 In terms of convenience, neighbors of Village Green live just minutes away from the large commercial district that runs along the western section of Manatee Avenue. Downtown Bradenton and Holmes Beach are about 10 minutes away. 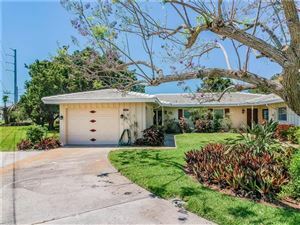 See all Village Green of Bradenton Villas & Homes for Sale.